Liverpool could face further interest in star player Philippe Coutinho in the January transfer window as Neymar reportedly pushes for Paris Saint-Germain to join the running for his signature. The Brazil international was strongly targeted by Barcelona over the summer, with BBC Sport claiming that the Catalan giants failed three times with bids for the Reds playmaker. Regarded as one of the best attacking midfielders in Europe on his day, it is little surprise to see plenty of interest in Coutinho, who has four goals and three assists in just nine appearances for Liverpool this season. PSG showed plenty of ambition by signing Neymar from Barcelona this summer, and the 25-year-old could now be ready to hurt his old club once more by encouraging his new side to hijack their move for Coutinho. Can Neymar lure Coutinho to PSG? According to Le 10 Sport, Neymar has made it clear he’d love to work with his fellow countryman, with whom he shares a good friendship. The report also cites a recent meeting between PSG sporting director Antero Henrique and well-connected agent Kia Joorabchian, who has links with Coutinho and Liverpool. It remains to be seen if Jurgen Klopp can be persuaded to part with one of his best players in the middle of the season, but some reports have already mentioned possible replacements for him at Anfield. The Daily Mirror have previously claimed Liverpool would give Klopp as much as £130million to spend to replace Coutinho, while the Daily Star have mentioned Julian Draxler as an ideal candidate. The Germany international would certainly be even more hard-pushed to claim a regular place in PSG’s starting XI if Coutinho joined and added to their long list of world class attackers. 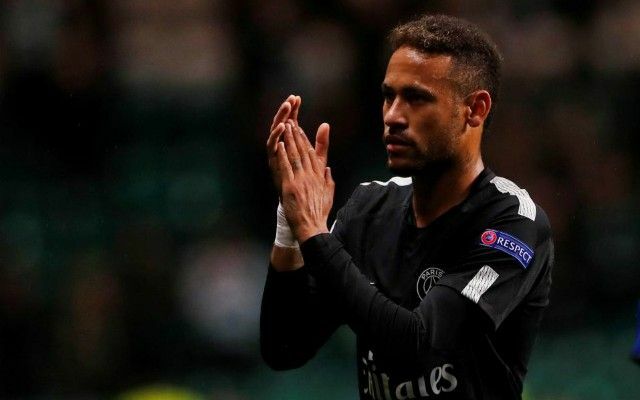 According to Don Balon, Coutinho is not the only big name Neymar wants at PSG, with Manchester United boss Jose Mourinho also his preferred choice to replace Unai Emery as manager. Latest reports in the Sun also suggest Mourinho himself could be tempted to take up an offer to take over at the Parc des Princes.